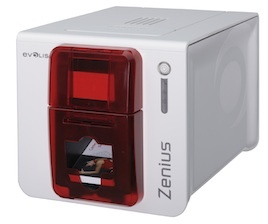 Public transportation operators STIB & SNCB in Belgium have chosen the Evolis Zenius Expert card printer to deliver contactless MOBIB transit cards to commuters who ride the city’s metro, tramways and buses. With the Zenius Expert, sales counters operated by STIB and SNCB can personalize and instantly deliver such passes to commuters in a matter of seconds. The integrated Crazy Writer Calypso module encodes all data related to the subscribed travel plan onto the contactless chip. This virtual embedded subscription can be renewed and updated easily online or at counters and vending machines available throughout the numerous stations. This contactless technology is compliant with Calypso2, a standard specific to public transportation systems that offers all public transport operators the guarantee of a proven level of security and interoperability.